Here's a photo I recently acquired from the files of Movie Star News. 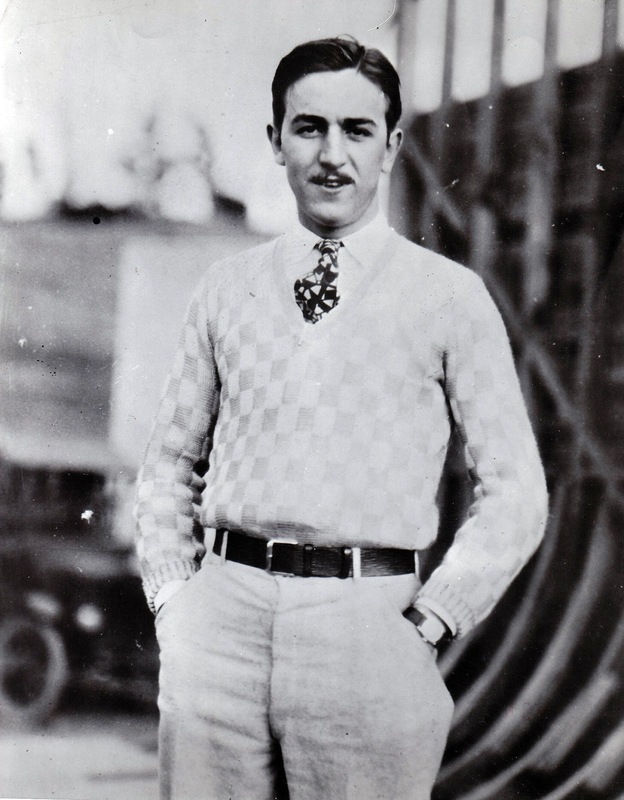 Walt's wearing the same sweater as he does in staff and Alice production photos published several Disney books. It would be about 1926 when it was taken, possibly at Hyperion or an Alice location. Mark, I am sure that this photo indeed was taken in 1926 on Hyperion Ave. Visible landmarks: a corner of the studio in its first incarnation (Jan. 1926-July 1929), and the hill across the street. On the right, the Alice stage before the curved surface was added to the structure. The stage was added after the building permit was issued April 9, 1926. So likely this may have been April 1926, which, by the way, was the wettest month of April in Los Angeles on record - ever! A VERY interesting photo, as it teaches us something about the construction of the stage!